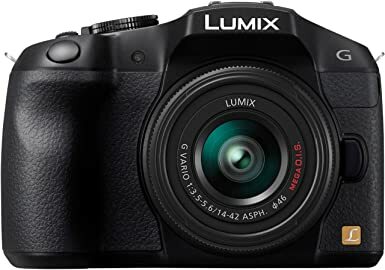 Hybrid Camera Revolution: SALE - Panasonic G6 w Lens - $638! I've raved about this camera before, but at this price, the Panasonic G6 is absolutely the best value for money in micro 4/3. Lightning fast autofocus, 7fps full resolution stills, 1080/60p video with full manual exposure control and essentially no clip length limit, external mic input with 19-step audio level control, Wi-fi, NFC and built-in intervalometer. Here is the still image quality this camera can produce as seen in the Panasonic Lumix DMC-G6 Pool on Flickr. This camera is the complete still/video hybrid package at an affordable price. It will go back up to $749 on October 19th, so if you want this great "all-in-one" camera for $638 , you may want to pull the trigger now. As always, if something here has helped you to make a buying decision, please order through the links above, or from one of our sponsors' display ads below or in the margins. It won't cost you anything extra, and it will help to keep these blog posts coming. Thank you for your support for the Hybrid Camera Revolution!